Lawfirms across England and Wales have, over many years developed a deep respect and appreciation for the highly specialised advice and service offered by the Bar. However, there are still today many lawyers today that do not fully understand how to select the appropriate barrister for the advice required, nor do they fully understand the range of services offered how easy it can be to seek their help. Unlike many other countries England’s Legal profession is split between solicitors and barristers. Broadly speaking the difference between a solicitor and the barrister is that the barrister is usually called upon for expert advice and advocacy, whereas the solicitor usually will draw up the majority of the documents and handle the communication between opposing parties. There are many more solicitors and barristers in England and Wales. With around 90,000 practising solicitors and only around 11,000 self-employed barristers. The vast majority of advocacy and Tribunals work in England and Wales is carried out by barristers. Distinguished advocates are appointed as Queen’s Counsel (QC) as a mark of their dedication to specialising in their field or fields, and with a worldwide reputation for excellence are called upon in highly complex cases where a very high level of expertise is required. There are around 1300 QCs in England and Wales. Traditionally cases are referred to barristers by solicitors much in the same way as a general practitioner medical doctor may refer patients to a consultant for a particular complex condition requiring the attention of the consultant. However lawyers from other jurisdictions outside England and Wales may also use the bar directly. Recruitment into a barristers chambers is highly competitive. Only three or four trainees ( referred to as pupils) are accepted out of hundreds of applicants, and then only one or two of those are accepted as tenants to the chamber. Foreign lawyers may also approach the bar directly for a number of advantages: barristers developed an intricate knowledge with courtroom practices and develop a heightened instinct in their field so that their advice is very reliable. There is no concern that barristers or chambers will take the clients away from other lawyers because it remains a referral profession where advice or advocacy is required at any specific point in the case. 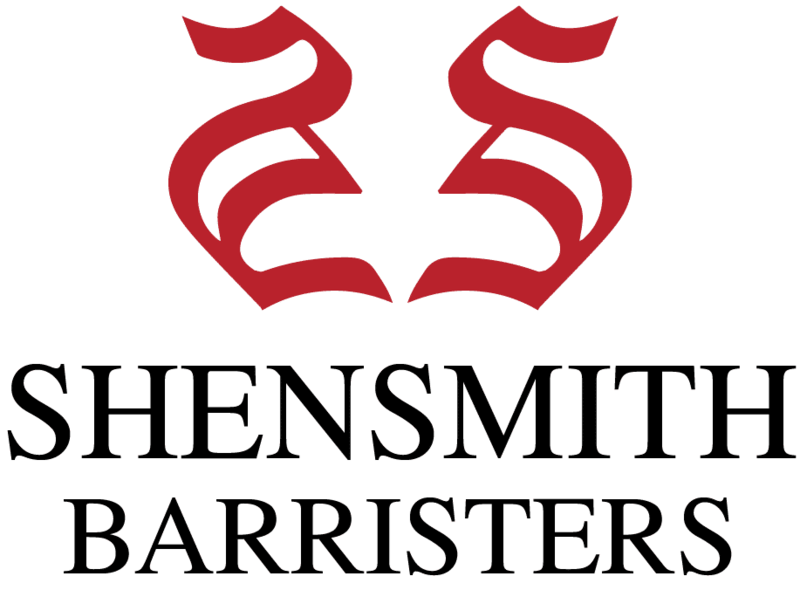 Barristers also often charge lower fees than solicitors for the equivalent amount of time spent because they do not need to carry out as much research as they will already be a specialist in that field, but they also work as a self employed entities so they only need maintain a smaller office and do not need to maintain many employees and other staff facilities required by most lawfirms. Barristers also really can offer and objectives and independent opinion because of their status as a self-employed entity. Many chambers, known as ‘sets’ will be a specialist set in a particular field. Other sets may cover a wide range of disciplines, and have a select few specialist barristers in those fields which will be appointed when the appropriate cases are presented. Dealing with bankruptcy or an IVA can be a very traumatic experience and can get very tricky to get the details right. If you get something wrong, you can quickly cause yourself huge problems and end up losing thousands of pounds if it is dealt with in the wrong way. For this reason, it is very important that you employ a lawyer to sort out the fine details so that they are in your very best interests. There are specific laws in the UK, and indeed the rest of the world, as much of the world’s law is based on English law. These laws are there to protect in many ways citizens from unfair contracts, unfair judgements and procedures with creditors and other service providers. One of the most well-known examples is PPI. For those not familiar with PPI, in a nutshell it was a payment protection insurance, which many lenders said it was a ‘requirement’ for taking out the loan, but this was later deemed to be unfair. Banks have since been paying out millions of pounds in compensation for customers that have been unfairly charged. There are many more laws like this that are less well-known, however you need a good lawyer to seek them out for your particular case. Understanding lawyers, the types of lawyers and their specialities are just as important as having one on board in the first place. It goes without saying that having a bad lawyer on board can end up costing you too much, and not actually helping your situation. Firstly, it is important to understand the two types of lawyer you can choose from, and it is a choice after all, so choose carefully. First of all, the UK legal sector is split mainly into two similar professions, but with very important differences. The two types are barristers, and solicitors. Generally, solicitors deal with procedural steps in any process, which includes documents, forms, applications, and general advice regarding your position in the matter. Barristers on the other hand are less paper-based, and specialise in a highly focused advice and advocacy service. A QC is a barrister who has been appointed officially as “Queens Counsel” for being particularly recognised in their field. This means they are always the best person to speak out for you, in a legal framework to get you the best chance of being in a winning position. Historically, you would have been required to appoint a solicitor first, who would then instruct a barrister on your behalf. In recent years however, the governing body – the Bar Council – set down rules and permissions for barristers to train and qualify to give advice direct to clients on what was setup as Public Access. When dealing with debt, IVAs and bankruptcy, you can save a huge amount of money by finding a direct access barrister to represent you, and provide you the specific advice you need regarding your situation. Going through a solicitor will not only cost you almost twice as much, but it will take just as much time, and actually give you less choice in the barrister because they will almost always have their preferred choice of barrister which will usually be one they have worked with a great deal in the past. When going to a barrister directly, you have the choice of around the 11,000 barristers in the UK, and can even choose one of the 1,300 or so QCs that are available, providing they are direct access trained. Barristers are all self-employed and either operate as a sole practitioner, or as part of a ‘set’ officially referred to as Chambers. You can think of Chambers as an office which provides meeting rooms, access to law reference and also to book and arrange appointments with clients. Instructing a barrister directly is surprisingly easy; you can simply call one of the many Chambers around the UK and request a list of barristers that would be suitable for dealing with your debt issue, and one that is of course public / direct access trained. He or she will then decide whether to take your case, and the issue you a client care letter, and proceed with your advice / hearing. You won’t be disappointed with the service, as barristers are noted as the highest level profession in the UK. The UK Government has set up a panel of “mythbusters” in the light of increasingly outlandish health and safety decisions by councils and insurance companies. The absurd decisions often force employers worried about employment law consequences to take disproportionate and sometimes ridiculous measures to deal with everyday events. As part of the initiative the Health and Safety Executive has launched a “Top Ten” of the most startling such myths. Coming straight into the top ten at No.10 is “Graduates ordered not to throw their mortar boards in the air”. The countdown is listed in full below, but the top three of the health and safety hit parade, sees “Trapeze artists being ordered to wear hard hats” avoiding a fall at No.3; while sticking strictly at No.2 is “Office workers being banned from putting up Christmas decorations”. And the No.1 is the blockbuster “Children banned from playing conkers unless they are wearing goggles”! Minister for Employment Chris Grayling said: “All too often jobsworths are the real reason for daft health and safety decisions. We want people who are told they cannot put up bunting or play conkers to know there is no basis in law for such rulings.” If you are worried about employment law ramifications in your organisation the Health and Safety Executive website says: “We want people to work with us to challenge these myths – the time has come to end the madness!” You can find out everything you need to know about this and other health and safety topics on their website.